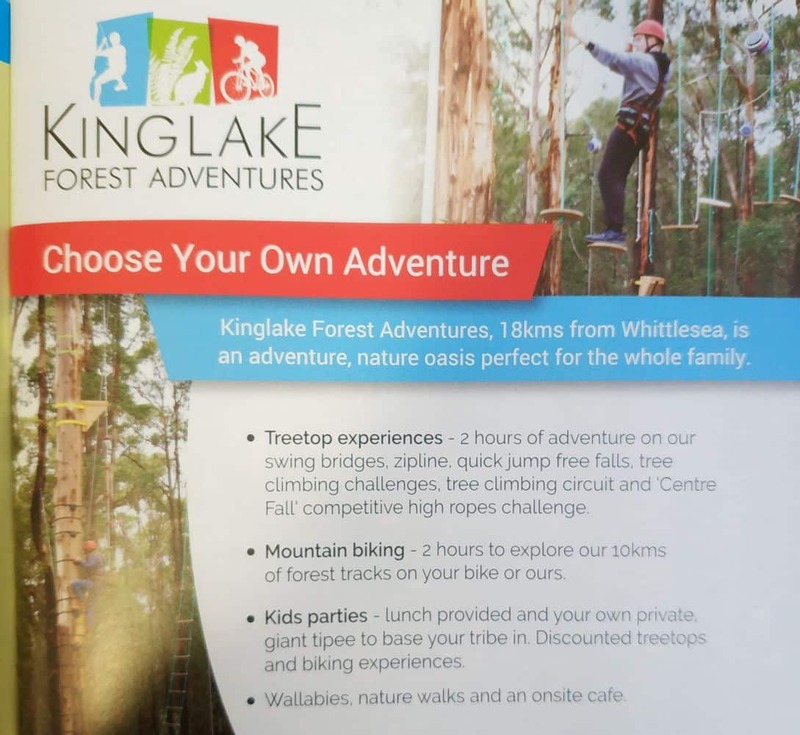 Kinglake Forest Adventures is an all-encompassing nature based adventure oasis perfect for the whole tribe. Big and little adventurers can get a taste of sky high thrills with challenging tree climbs, swing bridges, soaring zip lines, a flying fox and daring free fall jumps. Alternatively, stick close to ground with our all-terrain mountain biking hurtling (or turtling!) over rugged tracks, zipping down valleys or cruising our forest tracks. While those looking for rejuvenation can soak in the surrounds hiking and meandering with our local wildlife. Gather your family, friends and fellow adventurers for a day of in-your-face, through-your-hair, up-your-nostrils, cross-your-path nature. As our activities have progression from first timers to advanced there’s something for ALL ages and abilities And after your adventure, stick around for well-deserved coffee and cake at our onsite café. Only 60 minutes from Melbourne CBD within the Kinglake National Park, Kinglake Forest Adventures is a close-by, close-to-nature eco-adventure oasis where you’ll pack more forest fun into a single day than you ever thought possible! There is no minimum age, but generally children as young as 5 to 6 can take part in the zip-line, free-falls and tree climbing. Children under 15 must arrive with each child at activity departure point, although participation of the adult is not necessary. The park is open rain, hail or shine, so make sure to wear appropriate clothing for the weather conditions. Bookings aren’t essential, but are highly recommended if you want to secure your spot for the day.